Joining us for the conference? Register here. – Do youth have a voice in decisions that impact them? – Is failure to address climate change inter-generational theft? – What are remedies for Portland – Upper Columbia River trade-offs? – How do we ensure that First Nations, tribes are at the Treaty negotiating table? 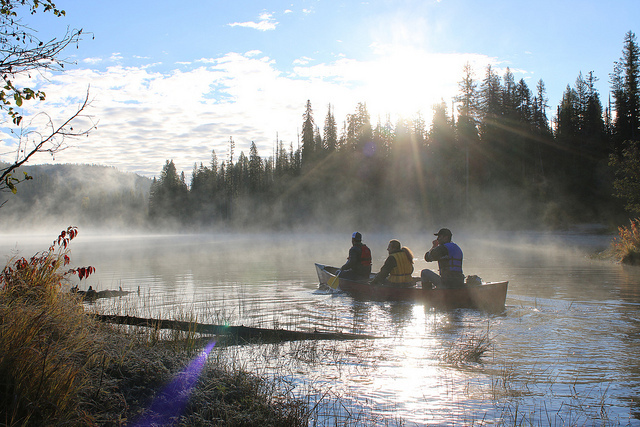 The sixth annual “One River, Ethics Matter” conference will be held in Castlegar BC, at the confluence of the Kootenay and Columbia Rivers – and a confluence of history and ethics. 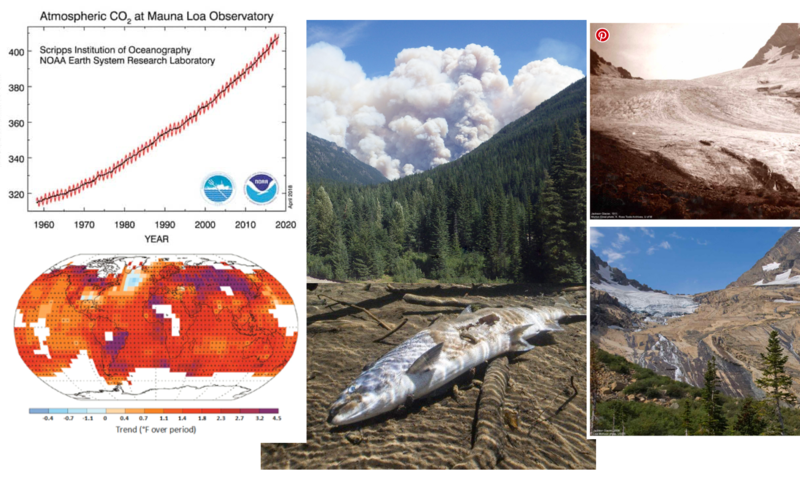 Today we face the challenges of climate change notable for glacial melt, increased fire activity, and warming river-reservoir temperatures lethal to fish. The 2019 One River, Ethics Matter conference will explore remedial options through respectful dialogue and further public education specifically regarding the Columbia River Treaty by the following considerations: (1) adding a third Treaty purpose co-equal to existing Treaty purposes of hydropower and flood control, and (2) new approaches to ethical governance of the river that strengthen river and community resiliency, restore salmon and other fisheries, and right historic wrongs done to the Upper Columbia River region, indigenous peoples, and other citizens of the watershed. Youth, Columbia River, Climate Change — and Ethics. Forests are burning. Glaciers are melting. Salmon perish by the thousands as water temperatures rise, aggravated by stair-stepping reservoirs. The United States is pulling out of the Paris Climate Agreement. Greenhouse Gases continue to rise. For one generation to impoverish the next and threaten life on earth is intergenerational theft — with life and death consequences. What can youth do to engage in respectful dialogue, and advocate for the voiceless? 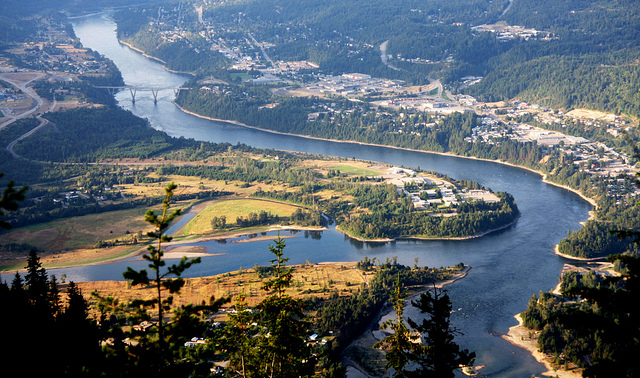 Vulnerability is a hallmark of the Upper Columbia River region in Canada and the United States. Centers of political power lie far distant. The U.S.-Canadian historic friendship is strained as never before. Canada and the United States are negotiating the Columbia River Treaty and have excluded local tribes and First Nations from the negotiating table, perpetuating sins of the past. The focus this 6th One River, Ethics Matter conference are youth, and the strong ties that bind us together through our common history, community, culture, and economy. From time immemorial indigenous people lived along these rivers and depended on the annual return of salmon. We will draw on that indigenous foundation while noting that Treaty negotiators excluded indigenous people from the Oregon Treaty that drew the international boundary at the 49th parallel, separating indigenous Nations, their families and communities. We will look upstream from our conference to the four Treaty dams: two on the Kootenay River (Libby and Duncan), and two on the Columbia (Mica and Keenleyside). We will contemplate the benefits of the Columbia’s dam-building era, and the significant environmental, cultural, and social costs of converting the world’s richest salmon river into a machine of dams and stair-stepping reservoirs. We will also look downstream to Portland and the desire for floodplain development, despite the warnings of the Vanport flood of 1948, that wrought devastation on the Upper Columbia. We will explore the ethical dimensions of protecting floodplain development in the lower Columbia in exchange for the Treaty dams and destruction of river valleys, communities, and fish and wildlife habitats in the upper Columbia. Upriver devastation, downriver floodplain real estate boom. 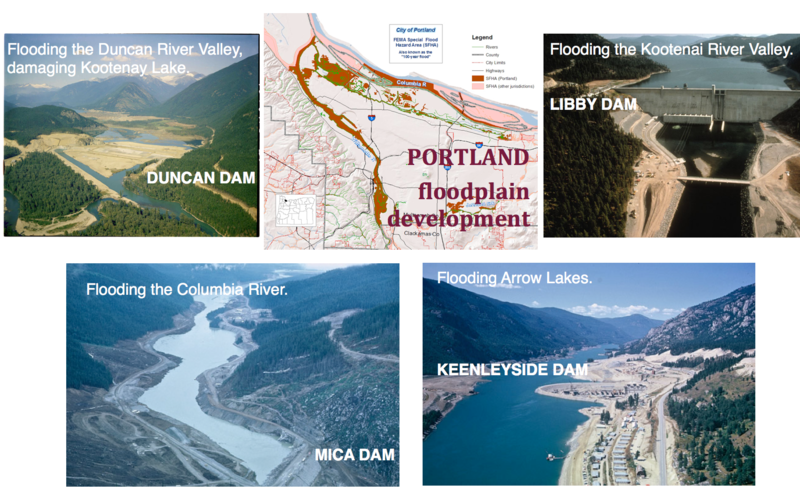 Lucrative floodplain development in the Portland-Vancouver metropolitan area is paid for by devastating river valleys in the Upper Columbia River – the four Treaty dams: two on the Columbia River (Mica, Keenleyside), two on the Kootenay River (Libby, Duncan). What can be done to right this historic wrong? Jackson Glacier 1911, 2009 – U.S.G.S. Agenda and additional information will be updated as planning proceeds.